I can’t really decide if this is post worthy or not, but I wanted to do one blog about why it I blog and what I love about it. Back in 2004 I was introduced to the the world of blogging through Xanga. I shared a lot of my poems and where I was at in life, but kept it super private, only allowing close friends to read it. After going through a discipleship training school where I went through a major life change and emotional healing. I knew I couldn’t go back to my old ways and old writing habits, so I deleted my xanga to begin again. A new season and a new chapter in my life required a fresh start. From 2005 until summer of 2007 I mainly journaled (like, an actual journal) and wrote very little online for the world to see. Until a month after Ted and I were married, when I began our family blog. I began the blog with the desire to share with close family and friends about our life as missionaries and detailed posts of what we were doing every month. I wrote on an array of things; learning to be leaders, our travels overseas, about our small groups and our new life together. One month in, I was personally struggling and decided to share on our blog. From that moment on I knew I wanted to be completely real. One thing I have recognized over time is how people react to and appreciate raw honesty and true authenticity. The blogs that inspire me are laced with these very things. I desire to stay true as I would in my own journal. In the beginning I feared what people would think if I shared our struggles, our fears, my personal lack of trust in God at times, etc. Sometimes I still fear this, let it paralyze me and I do not posting something. Other times, I have written things that shouldn’t have been said outside of my actual journal, regretted writing them and deleted or greatly edited them later. I am still finding balance the balance between the two. In 2008 I began another blog, this one dedicated to our baby. This blog was such a hit because friends and family were able to walk along the entire process with us. A lot of you still tell me, you felt like you were here with me through it all. And when Chase arrived, you felt like you knew my son without actually meeting him face to face. I love that! February 2009 I began Such Pretty Rain, a blog dedicated to my poems, my struggles and joys, craftiness, DIY projects, etc. It was truly a reflection of me. But after Chase was born, Ted began encouraging me to combine all of my blogs into one place. In August 2009 I began a wordpress but didn’t share it until January of 2010. The blog is now a combination of everything I love and I finally feel grounded in a place to blog and to share. Why exactly do I blog? I blog to share our life with you. I’ve always had a passion to document life as it happens. I am by no means professional, but I am passionate and I love to share. I blog to process through something. Some posts are just created from a question brewing inside my mind/heart or a thought that I had and wanted others feedback on the subject. The writing process also helps me to clarify my thoughts (whether blog or journal). I blog to still be me. Since Chase arrived I felt it was important to find that balance between being a mom and still being me. I really feel like I understand it. I can still be a mom and still do the things which I love! I also find that it is my sanity sometimes. 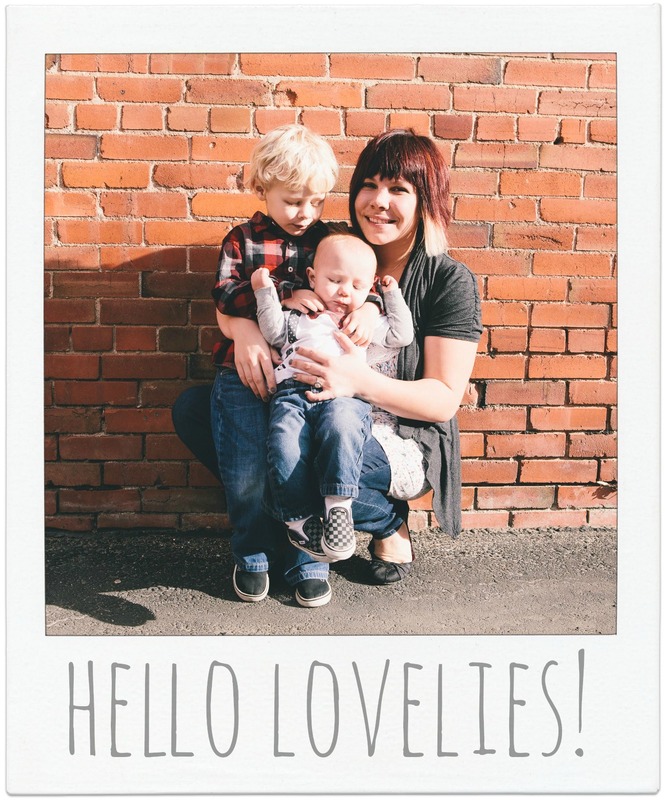 When I journal, blog, take photos, paint or create in general… on top of being a wife and a mother, I feel complete. I blog to inspire others. That is one main reason why I blog DIY projects and creative ideas! One day while creating, I thought, why not share this with everyone? Encourage others to create too. Blogs that inspire me are mostly those which constantly create and are truly themselves. I blog to express myself through writing and photography. If you know me, you know I am an introvert. In a crowd of people I will probably keep my opinions or thoughts to myself. Here, I can share anything freely! This is the “extroverted” me. I blog to for the community feel. I love, love, LOVE hearing what YOU have to say. One thing I do feel my blog is missing is feedback. This is not condemn you if you read my blog and never comment! I want to share my heart and to ask you for your feedback. I wanna hear what you think. Especially when I open the post up with a question. You don’t have to have a blog to comment, either. You can comment even if you aren’t a blogger! I truly love blogging and sharing our life with you. I hope you enjoy it! Well, that is about it I think! Just a Little Spring Beauty. There are so many great reasons to blog and I know that the biggest one for me is that it really helps me to process things… I only wish I didn’t have so much family that reads mine, because I’d love to be so much more gut honest like you have, and yet I have this wonderfully doting, over-protective family that would try to “fix” me, if I shared my true struggles! :) Anyway… I’ve loved getting to know you through your blog… you do a great job with it! I felt very similar in the beginning, but mostly worried about what supporters would think, family would be harder, esp if they always want to fix you! Have you thought about doing a private or invitation only blog as well as the blog you have? And thank you! I enjoy reading and seeing pics of Josiah grow too!! Love it that you’re blogging! Anna and I have been inspired by your writing and creative projects, thanks for sharing with the world! Thanks Brent (& Anna)! We hope to see you guy soon! Thank you so much for blogging. You bless me continually. I love you tons and think about you all the time.. xoxoxo Your honesty and humility inspire me.. Thank you sweet Emma! I have been thinking about you lately too! I hope you are okay, i mean i’m sure it’s so hard with David gone. I admire you and your strength!